I shimmed my son’s pants down to find a messier diaper situation than I anticipated and found myself under prepared. With one hand holding my squirming son, I fished into my diaper bag trying to find a toy to distract him long enough to keep the mess from smearing around. It took a while to locate the changing pad, wipes, and waste bags all while keeping him from running away. Unfortunately, this scenario has happened to me more times than I’d like to admit until I finally paired down on the number of diaper bag essentials I carry. 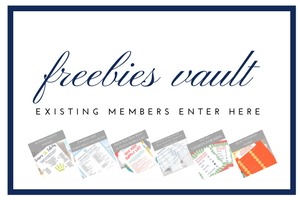 This post was sponsored by the shops tagged and featured below and some contain affiliate links. All opinions are my own. Both of my babies had sensitive skin, so I found myself using baby balm almost every day. I love the Earth Mama Angel Baby Bottom Balm because it’s made with organic calendula and lanolin free, vegan, zinc free, safe for cloth diapers. 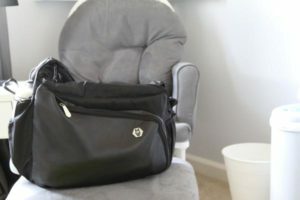 Keeping a changing pad easily accessible in my diaper bag is a must. 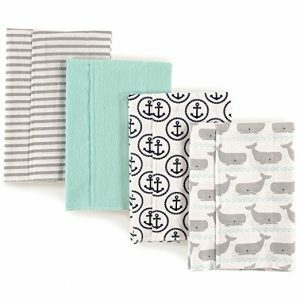 I loved the Gannet & Sage Magpie Travel Changing Pad because it is trendy, easy to wash, folds up quickly, and has dual layered cotton and flannel sides. A multi-use cover that is super functional like this Pip & Leo Broadway Black Stripe Cover is ideal because I can use it for a nursing, car seat, or stroller cover and more. 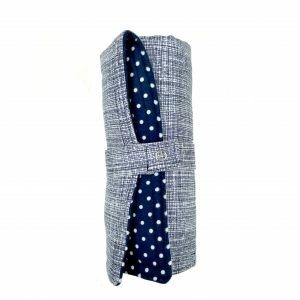 Made with stretchy organic cotton, I could even use it as a blanket for my little one. Both of my kids were pretty drooly as babies, especially when they were cutting teeth, which seemed to last from 3-12 months. 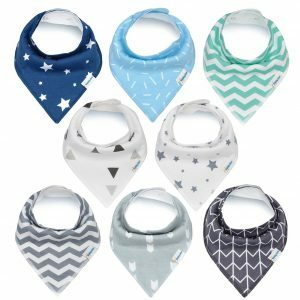 So, I always carry extra bibs, like these KiddyStar Bandana Bibs as part of my diaper bag essentials. I couldn’t live without burp clothes when my kids were babies. Not only are these Hudsen Baby Flannel Burp Clothes good for catching spit up, they are also great for wiping noses and cleaning up messes. 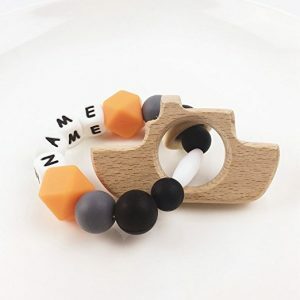 Teething toys like this Baby Love Wood Teething Toy are great for distracting babies during diaper changes, keeping them occupied in the car, and relieving achy gums from teething. 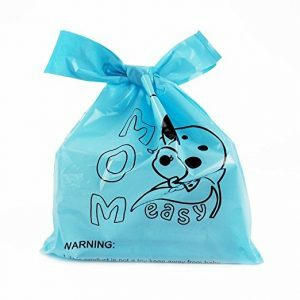 Disposable diaper sacks like these Easy-Tie Diaper Sacks by Mom Easy are the perfect solution for wrapping up stinky diapers. I am also guilty of using them to catch the random bits of goldfish, happy meal toys, and bits of trash I find below my children’s car seats. 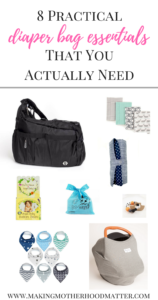 My favorite diaper bag essentials are baby balm, a changing pad, a mult-iuse cover, bibs, burp clothes, teething toys, and diaper sacks. What are yours? P.S. If you enjoyed this piece, you may also like Baby’s First Week Home: What You Really Need to Buy. 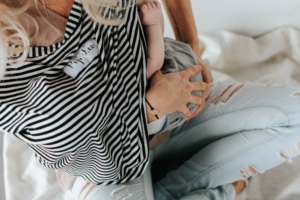 I’m a simple girl and I don’t like spending money on things that I don’t really need, so you’re only going to see my absolute must-haves on this list, the things that truly got me through those first few weeks at home with a new baby.